Whilst there are brides who just don’t do DIY, there are others for whom the very idea of being able to craft every little bit of their wedding gives them a thrill. Judging from the pictures of these weddings all over the Internet, these brides are particularly good at them too. I salute you brides. For I am one of the former. The kind who, whilst really good at delegating ideas, is not that keen on doing too much herself. 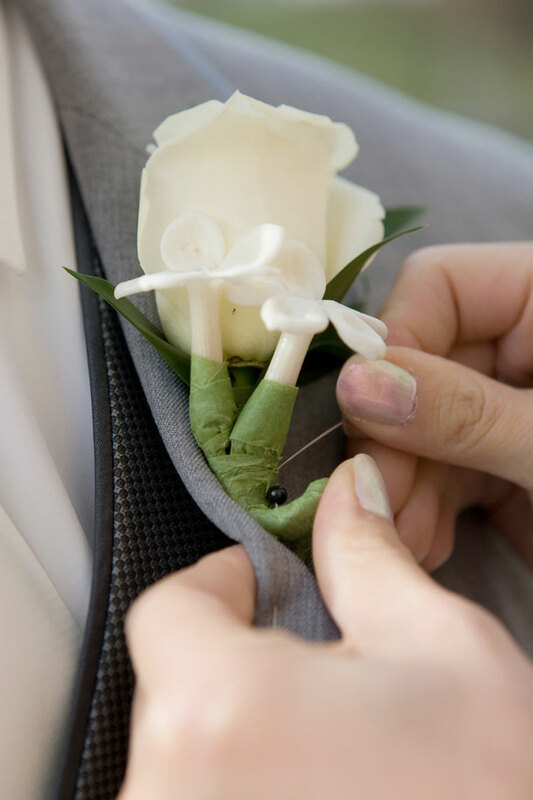 Make your own boutonniere – here’s something obvious and not nearly as difficult as the myriad other options available for DIY. A little bit of greenery and a select flower or two (orchids, roses) or even beaded wireframe flowers make what can be an expensive item, really reasonable, and fun. Make your own veil – wedding veils are a little thin on the ground, and when you find them, they’re not quite what you had in mind. All you need is some tulle, a headband, a few embellishment like beads, sequins, rhinestones or flowers (felt or paper flowers are even better) and a hot glue gun, and you’re on your way to becoming a princess. Make your own earrings – remember those bead shops that were all the rage a while ago? Well, many of them are still there, and putting together a bit of bling to hang in your ears, precisely to match your colour palette or your dress, will cost you barely more than a takeaway coffee. Make your own floral centrepieces – these are really easy once you know how, and there area myriad websites with step-by-step tutorials if you but search. All you will need are 50 – 80 flowers with hardy stems (like a rose, protea or sunflower), sticky floral tape, secateurs and a stem stripper. Better still, make your own paper flowers. You can re-use them afterwards. Make your own wedding monogram stamp – these rubber stamps are easy to make; you’ll need to have enough DIY savvy to design your own monogram first. Print the design and then you will need a piece of rubber (an eraser will do), tracing paper, a good pencil, an art knife or small cutters, and ink.